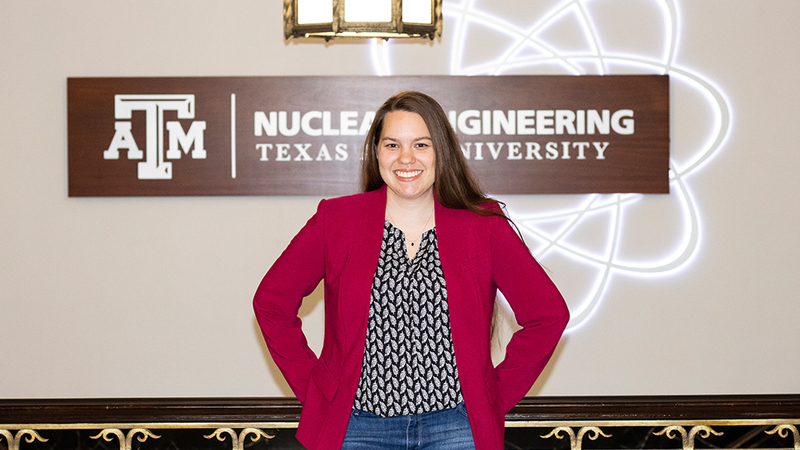 Kristin Smith, a graduate student in the Department of Nuclear Engineering at Texas A&M University from Orlando, Florida, has spent her last two summers at Los Alamos National Laboratory (LANL) modeling and simulating Kilopower Reactor Using Stirling TechnologY (KRUSTY) in Los Alamos, New Mexico. ​KRUSTY is a small, lightweight fission power system capable of providing up to 10 kilowatts of electrical power — enough to run several average households continuously for at least 10 years. Four Kilopower units would provide enough power to establish an outpost. KRUSTY could also power a deep space probe. “A space nuclear reactor could provide a high-energy density power source with the ability to operate independent of solar energy or orientation and the ability to operate in extremely harsh environments, such as the Martian surface,” notes Patrick McClure, project lead on the Kilopower work at LANL. The original designer, Dr. David Poston, has worked on the concept of KRUSTY for the last 40 years, but most of the proof of concept work has happened in the last five years. The Kilopower project is an ongoing collaboration between NASA and the National Nuclear Security Administration, which encompasses multiple national laboratories. “I worked on an extremely detailed model of KRUSTY and now I’m benchmarking that model,” said Smith. Benchmarking means she’s taking every single piece and calculating the uncertainties to make it more precise and find any errors. Her research will have a real impact on nuclear data. The KRUSTY project is significant because other energy technology such as solar panels wouldn’t be efficient on Mars, or even the moon. According to NASA, on Mars the sun’s power varies widely throughout the seasons, and periodic dust storms can last for months. On the moon, the cold lunar night lingers for 14 days. Smith enjoyed the overall experience and recommends LANL to any Aggie engineer. 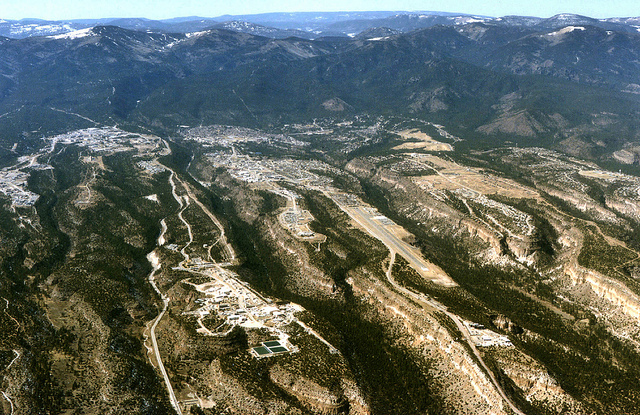 “There’s so much more to LANL than nuclear security and deterrence,” said Smith. “For example, LANL researchers are also working on an HIV vaccine.” Other perks of working at LANL include weekly volleyball games, free food, lots of sunshine and proximity to Santa Fe. The LANL community is close-knit. Smith met her best friend there and her best friend met her husband there. 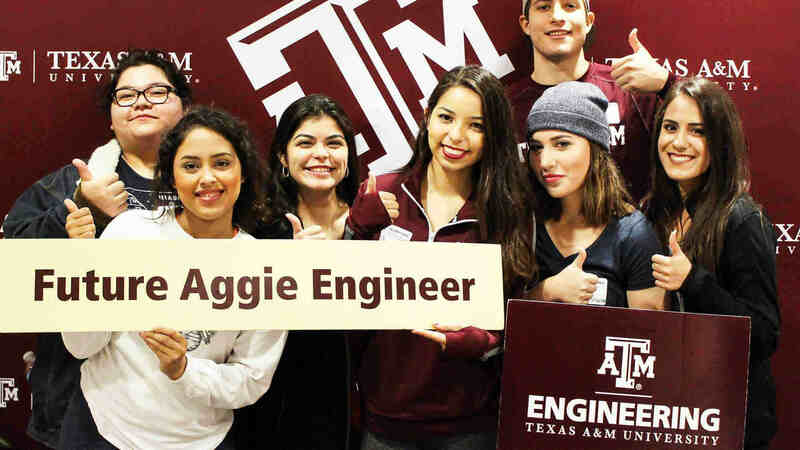 In addition, many of the interns and engineers have a degree from Texas A&M. Her interest in the national laboratory started with a Nevada National Security Site tour during an American Nuclear Society conference. She started her first classes at Texas A&M this fall. 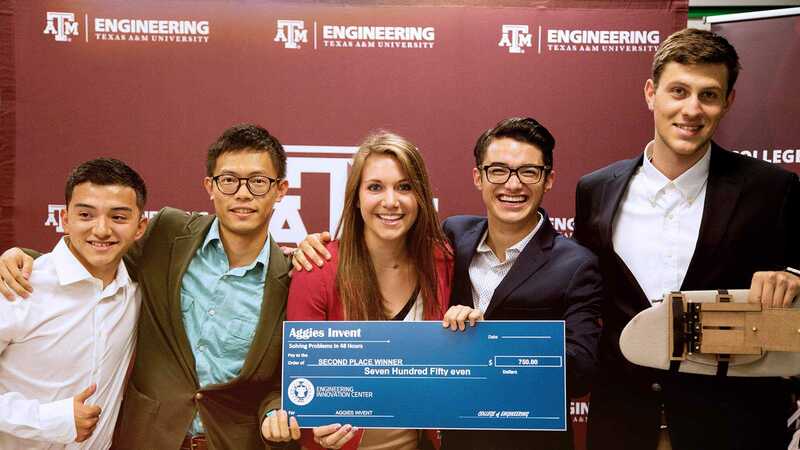 “I chose (Texas A&M) because of Dr. Pavel Tsvetkov,” said Smith. “Tsvetkov has already been an amazing help. He keeps me on task. 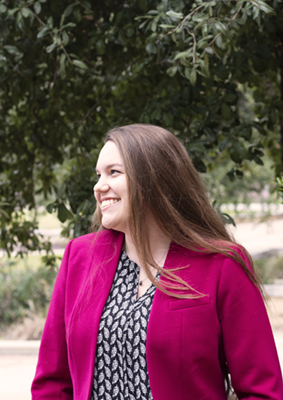 His first question isn't ‘How is your research?’ it’s ‘How are you?’” Smith is currently writing a 200-page research report for LANL and working on her doctoral degree in reactor physics and analysis with a focus on microreactors.